Bad debt will not just disappear. You have to take some specific action in your life to deal with it. Wishful thinking will not make bad debt go away. It will not disappear on its own and actually will just get worse if you do not do something. Interest continues to accumulate and debt collectors will hound you if you do not take action. In this post we will discuss some of the areas that people use to avoid dealing with debt situations. 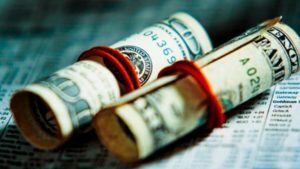 The bottom line is that consumers facing a debt situation must deal with their situation now to avoid foreclosure, bankruptcy and losing everything. the worst thing is ignoring your debt situation. It is only going to get worse. Interest charges will add to the debt and your credit rating will get worse. A bad credit rating will make it difficult to borrow money and sometimes even get a job. Debt collectors are persistent and will just continue to follow you and call. They will take action and initiate asset recovery i.e. impound your car etc. unless you talk to them and work out a plan. Sometimes a lender can offer solutions such as a lower interest rate or a longer term. But you will never know if you do not talk to them. Be prepared to work out a plan and focus on how you will repay the loan. Buying lottery tickets or going to the casino does not work. Sure we hear about the odd person winning a large sum and repaying their debt. But this is less than 1%. Use your money to repay your debt instead of buying lottery tickets. Often the timing does not work out and the amount of money you receive is less than expected due to taxes, expenses and sharing the estate with other heirs. If you do inherit money treat it as a bonus. Focus on repaying your debt independently from any inheritance. Getting a extra job is a good thing to do to help repay the loan. Counting on a promotion at work or a raise to help with your debt situation does not always work. Again focus on repaying your debt. Any extra money you earn can be used to repay the debt as well. Thinking that things will just work themselves out over time usually does not work either. You have to take some direct action to deal with a debt situation. Set up a budget and stick to it. Talk to your lender and make sure they know you will repay the loan so they do not initiate some kind of collection action. Communication is very important in these situations. So is commitment to repay your debt and not ignore or run away from the situation. Consumers love to talk about the stocks that have increased in value exponentially. Very few actually participate and make a lot of money in these situations. But most of us cannot time the market, may be afraid to get involved in the market or just do not have the time to monitor investments like these. So what are consumers going to do, in order to make the best short term investments for them? It is actually quite simple. If you look at the debt that you currently have and you focus on paying the highest interest debts first you will actually be making a very good investment. Let’s talk about credit card debt for a moment. The interest-rate on unpaid balances of credit card debt is typically 21% or even higher. Sure there are some credit cards that offer 7% or 10% for a short period of time. But if you carry the debt beyond that grace period, they quickly jump to 21% or higher. Now if you pay that debt off you are actually paying yourself a 21% interest-rate. 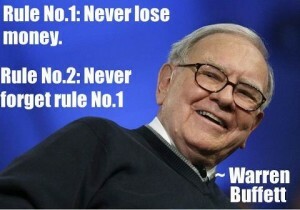 That is much better than anything you will get on average in the stock market. Even if you have a car loan at 5%, or a personal loan at seven or 8%., You will save money. Most people will save themselves that interest by paying off the debt early. When the debt is repaid you have even more cash flow to utilize. Use this free cash to pay off either debt. Or to buy some of the things that you really would like to have. You can also set aside money for future expenses that will be of an emergency nature. Once you have all of your debt repaid the next area of your focus is to save some money for emergencies that always show up at the worst times, and to pay yourself long term for retirement. Invest your retirement savings well, diversified, and in secure investments to ensure that your savings will be there in the long term and generate the kind of income you need when you do finally retire. Credit utilization is a relatively new term that was initiated because many consumers were being penalized for having many credit cards open. We have all found ourselves inundated with credit card applications, stores that offer significant discounts if you open an account with them. Then there are the special offers from the credit card companies themselves. Free debt transfers, low interest rates, travel points etc. The offers go on and on. We cannot help ourselves and end up with a significant number of credit cards. many cards have a $5000 credit limit or larger. Even if you just have 6 cards, that’s a potential $30,000 in debt that could be added to your debt load. Many people were penalized for having so many credit cards and such large potential debt loads. Their credit scores were lowered due to the potential debt load even though they carried a nil balance and paid their balances in full each month. As a result credit utilization was added to our credit scores as another factor to determine the credit score. Let’s take our sic credit cards as defined early and assume that this person only carries an unpaid balance of $2000 on one of the cards. All of the others have a zero balance. He pays the minimum payment each month and has a good record of paying everything on time. His credit utilization would be $2000 divided by $30,000 or 6.6% when expressed as a percentage. Lenders look for a ratio under 30% which is amply met by this consumer. In previous days, most people would close credit card accounts to improve their credit score. Lets assume that this person closed five of his credit cards. Also that he used the one that he has a balance on. His credit utilization would go to 40% and would be well above the objective that many lenders look for. This consumer would have been better off to keep his five credit card accounts open and just not use them. His credit utilization would still be low and contribute favorably to his total credit score. 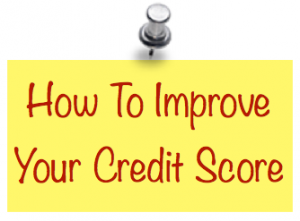 There are many other factors that contribute to a credit score. An obvious one is paying all of your monthly bills on time every month. Never have a late payment and repay all debt as quickly as possible. Paying bills on time each month is important for consumers, business customers and merchants. Recurring payments improve credit scores and maintain good relations with merchants, landlords and all providers of services. Failure to make monthly payments on time can also cost money. Increased interest charges for overdue payments and possibly penalties for late payment. Business customers who invoice customers on a regular basis also benefit by issuing recurring invoices automatically. Issue invoices on time. Debits are automatically made to a customer’s credit card or debited from checking accounts. Transfer funds immediately to your account. Manage cash flow. Minimize collection activities. These reduced activities improve profitability and lowering operating expenses. Once merchants implement recurring payments credit scores improve. Customers accept recurring payments. Both parties are happy with the arrangement. Businesses find that their cash flow is better managed. Their late accounts decline and they spend less time chasing after customers. In fact, customer satisfaction actually improves since there are fewer negative conversations about paying bills on time. Customers are confident that the same amount will be deducted from their accounts at the same time each month. There is no need to try to remember if they paid a bill. They will not incur late payment fees or interest charges. Their credit score can actually improve over time. It can save them money when it comes time to borrow money for loans and mortgages. A merchant who wants to bill a customer on a regular basis must first arrange for consent with the customer. They must have consent for them to withdraw funds automatically from their bank account or credit card. This is a one-time consent provided by the customer to the merchant. Consumers can withdrawn consent at any time. The amounts are fixed. However consent can be provided for variable amounts based on a set of services that are provided each month. This process works well for both parties. The processes to manage the start and stop of recurring billing is extremely easy for both the consumer and the merchant. In conclusion, there are benefits for everyone when they implement and agree to recurring billing payment processes. Merchants no longer have to chase customers for payment; Reduce collections are significantly ; cash flow improves; expenses decline and profits increase; Add pro-rata payments to help with clients who are already overdue; if an automated payment does fail the merchant is notified immediately; cash flow is much more predictable and manageable; and transferr funds directly to designated company accounts. Customers also benefit from participating with merchants who employ recurring billing systems. No more worries about whether you paid that invoice or not; Predict payments and cash flow; Maintain credit scores. and sometimes improve credit scores; no more late fees or penalties for late payment; better credit scores mean lower interest loans and mortgages. The benefits of a properly implemented system can be enormous for both the merchant and the client. Do I need a lawyer for a will or can I do it myself with an online form? The quick answer to do I need a lawyer for a will is no you do not always need a lawyer to prepare a will, however there are reasons why you might consider having a lawyer prepare your will for you. If your assets are complicated or you have multiple beneficiaries, then using a lawyer might make their lives and yours easier. 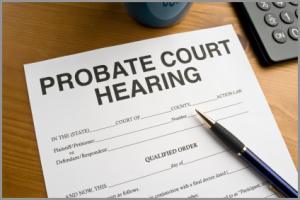 Even if your worried about the expense of preparing a will using a lawyer, always make sure you have one. Having a simple will is better than no will at all. At the very least your intentions are made known. Your heirs will have to sort things out based on your directions. 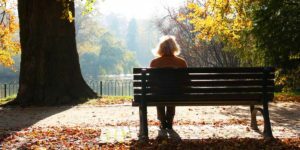 A simple will basically says everything goes to your spouse unless they die at the same time, or predecease you. In that case everything goes to your heirs as per your specific instructions which could simply be split evenly between them. Over 50% of consumers do not have a will. They delay and procrastinate and do not really understand what happens if you die without a will. For a straight forward will, a lawyer will charge something in the order of $500 to $1000 and can complete it within an hour or two. You review it, sign it and they witness it. It is pretty easy. You can also use one of the online will websites for around $100. They are also pretty straight forward. Just make sure that you use the forms that are legal for the state you live in. More complicated wills should really have a lawyer prepare and review them. Your instructions will be clear and you will be following all tax laws etc. Homes, cars, stocks, heirlooms etc. can all be specified in the will to be dealt with as per your instructions. With no will the courts will step in and divide the assets according to their formula which may not be what you had planned. Finally, make sure you keep your will up to date as life changes take place. 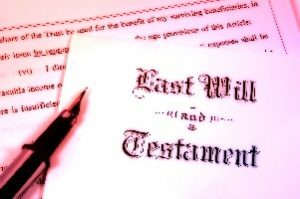 Getting married, having kids, divorce, moving, deaths in the family can all be reasons you may want to review and possibly update your will. Tell your heirs where the will is and how to find it. If you use a lawyer, they will also keep a copy. Your heirs should also be aware of the lawyer that you used. For more information on wills, click here. What are the most important lessons you can tech your kids? There are lots of things, however this site is focused on financing and saving money. We put together 4 or 5 financial lessons that we think are the most important. It is never too early to begin start educating your kids about money. It will serve them well during their lives and hopefully make their quality of life easier. Regardless of how much you make always set aside 10% of your income for a rainy day. Or for retirement or for emergencies. Invest the funds in a diversified account. Never touch them until you have a real emergency or it is time to retire. Manage the funds, make sure they are invested in blue chip stocks that pay regular annual dividends. 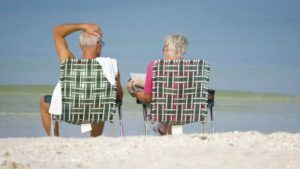 You will be amazed at how much you can accumulate over 30 years allowing you to retire early if needed. Whether you are 10 years old or 65 years old, knowing the difference between things you would like to have and those that you need can go along ways to saving a lot of money. Saving money by not purchasing those things you want to have can mean a huge improvement in your lifestyle over the long term. Anything you purchase is worth less as soon as you walk out the door of the store. That expensive car you just purchased may look great, but you lost 20% of its value the moment you drove off the car lot. It is now a used car. On top of this loss consumers forego saving money and earning interest off of it. Material items may impress for awhile, then you have to buy another to maintain your image. Next thing you know you are spending all of your money on depreciating goods and not saving anything for a rainy day or retirement. Earning interest on top of interest is one of the fastest ways to build savings for retirement or vacation or emergency funds. The rule of 72 is appropriate to discuss. Divide 72 by the investments rate f return to find out how long it will take for the investment to double. Always be careful of promises tat sound better than they really should be. If you are doubtful, check the promise out in detail and run if you suspect any kind of a scam. How many automatic payments are you making every month? If you don’t know you’re not the only one. Over 35% of consumers do not know how many automatic monthly payments they make each month. These automatic payments are for subscriptions to magazines, membership services to gyms, automatic renewals for coffee shop memberships and more. They often start associated with the service as a free trial. Many consumers forget to cancel it at the end of the free trial and they receive unexpected charges as a result. This is a pretty standard approach for many company’s who are trying to grow their business. It turns out that generation X members are the most likely to have signed up for auto pay programs. Parents are more likely than none parents to be enrolled in such programs. Even people with higher education and income levels are more likely to be enrolled then those with lower incomes or education. Why are people making these money mistakes? We are all inundated with offers of two months or three months free on some service. All we have to do is sign up and provide a credit card. The company that we’re dealing with is hoping that we will forget that we signed up for in the first place. By the time we notice this recurring monthly payment, at the very least one or two months have gone by. If we don’t check our accounts on a regular basis it could be six months or year before we notice. At 10 or $20 a month this can add up to two or $300 a year. That’s a lot of money in my book. If we have several of these it would not be long before we’re spending $1000 a year and not even realizing that we’re getting these recurring services. In fact we may have forgotten all about them. With so many people falling into this trap it is no wonder that companies take this approach. Take a few minutes right now and examine all of the transactions that have taken place in all of your accounts over the past three months. Follow up on any that you don’t recognize. If there are recurring charges being deducted from your account, check to make sure that this is something that you really want. You could save yourself $1000 a year without any problem. You could have enough money to go on a three or four day trip! For more financial money mistakes to avoid, click here. It takes effort and discipline to become financially stable and to stay that way. 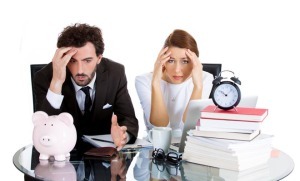 Even a temporary relaxation of your financial judgement can jeopardize your stability. Spending too much on a credit card, going on a trip you cannot afford, taking on more debt than you should are examples of what not to do. Becoming financially stable and successful also has benefits as well. For example your stress level will be much less. You can relax more when you are not worried about money. Take the time to review where you are when it comes to the following suggestions to become financially stable and successful. What changes do you need to make in your life? The following are ways that will gradually take you in the direction you need to be financially stable and successful. There will be setbacks from time to time. Emergency payments will be needed which will deplete your savings. This unfortunately is part of life. But if you stick to your plan, you can quickly recapture your savings and reach stability again. Evaluate your expenses, and live frugally. In fact live well below your income. Invest in your future. Save for emergencies and for retirement. Keep your family secure. Save for emergencies so that you can deal with them when they occur. Pay bills immediately. Set up an automatic payment so that you never miss any payments and negatively impact your credit rating. Late payments also incur penalties and extra fees. If like many consumers, you are wondering what things can impact your credit score. This list will help you understand what you need to do to improve it. There is the obvious item – Payment History. If you are not good at paying your bills on time e.g. loans and credit cards, your credit score is going to suffer. This also includes utility bills as well as rent payments and tax bills. Pay them all on time and in full or negotiate ahead of time to make arrangements. Even if you speak to them ahead of time, there is no guarantee that your credit score will not suffer. But there are items that will affect your credit score in addition to payment history. Credit Utilization – lets say you have three credit cards each with a $5000 limit. If they have a zero balance or less than 30%, then your credit score will not usually be impacted unless your late with payments. Length of Credit History – New credit and younger people do not have much history that shows how well they manage credit. The longer you can demonstrate that you can manage debt, the better your score is going to be. fifteen years is much better than two years for example. New Credit History – Open new accounts slowly. Someone who opens many accounts especially credit accounts over a short time period shows that they are highly reliant on credit and may be a higher risk. If you need new credit accounts do so over a period of time over several months. Credit Mix – credit cards are considered higher risk than student loans, car loans that are secured and mortgages on your home. Lots of credit card debt or potential debt can lower your credit score. If you want to improve your score and are not dealing with these issues properly, it is time to look at each area and make adjustments in your life. Fixing one or all of these can improve your credit score. Should you rent your home to retire early? This is the question many people ask themselves at various stages in life. Retired baby boomers traditionally have a home they have owned for many years. It is paid off and worth a small fortune. 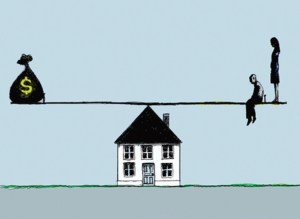 Should they unlock this value by remortgaging, selling and renting or take a reverse mortgage? What about millennials just starting out. Should they buy a home now and incur all of the maintenance expenses, taxes etc along with interest payments on the mortgage? Or should they rent an apartment and set aside the savings for investment? These are hard questions and many do not have easy answers. There are some fundamental truths that everyone should consider before making a decision. Every person will answer them differently. It is very important that you assess these questions from a personal perspective before making a decision. These and a few other questions basically describe someone who is a risk taker, focused on saving, understands that they need to invest in something that will grow over time in addition to the money he or she puts in. Do you often wonder why some people seem to have more money to spend than you do? They might even make less than you do, yet can go on trips and have a nicer home. How do they accomplish this feat. The answer is actually quite simple, Be Smarter about Your Money and how you manage it. We have compiled a list that consumers should consider. Applying these ideas will help almost everyone Be Smarter about Your Money and make it last much longer. Saving – designate 10% for future needs, never to be touched unless there is an extreme emergency. This is in addition to retirement savings. Automate everything – utility payments, taxes, mortgage payments, loan payments etc to avoid ever missing a payment. Missed payments are expensive in terms of fees and credit card ratings. Choose your friends and neighborhood wisely – it is tough competing with wealthier friends or big spenders. Don’t! You will not be tempted. Talk about money – with the family so that they understand your goals and how they can contribute. Read a book, or 10 – There are countless personal finance books out there.